How do you win a blue ribbon? By being the best you can be! The same goes for your resume and other career-related materials—there’s no substitute for excellence in content, planning, and presentation. You need to use every legitimate method and resource available to enhance your marketability (your perceived value in the eyes of employers). Why work with a Master Resume Writer? save time and increase the effectiveness of your job search. reduce the stress of trying to add resume preparation to your busy schedule. strengthen the professional impression you make on prospective employers. Examples of good resumes can certainly give you an idea of job search documents that have proved effective for other individuals in the past. As long as you don’t make the mistake of thinking they can serve as a precise template for your own resume, there’s no harm in reviewing one or more sample job resumes to see what you can learn from them. I have provided a few sample resumes on this site for that reason. However, I can almost guarantee they will not work for you, if you basically copy them and put your own contact information at the top! Important note: I do not provide sample resumes other than those shown on this website. To protect client confidentiality, each sample resume is fictionalized and used with client permission. You may find additional sample resumes in the published books: Executive’s Pocket Guide to ROI Resumes and Job Search and Resume Magic. Effective resume writing can’t be easily explained in a few sentences and takes time and practice to learn, in order to do it well. 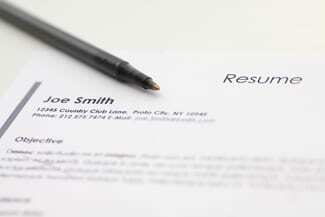 Here are a few resume tips to get you started.